Do you plan to fill your new home with high quality of furniture? Do you want to hold a barbeque party at your garden but do not have perfect furniture to serve the dishes? 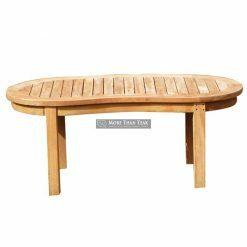 If so, then you can take into account of this oval extending table to be placed at your garden area or patio. The table which is made from top class teak is perfect to be placed at your backyard as well. 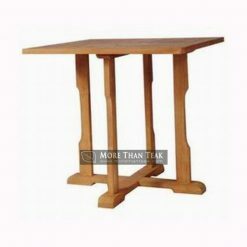 Our team really focus on the detail so that a table with premium quality is formed. 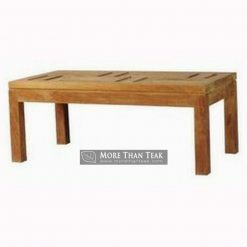 The strength and durability also becomes the main concern for this furniture. 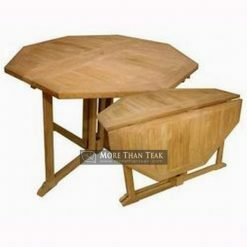 It is can be seen from the teak wood used which is taken directly from the teak plantation. 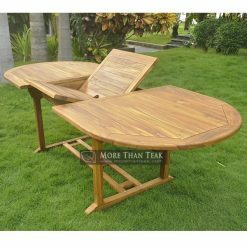 The teak then processed using advanced machines in order to make the best quality of Indonesia teak furniture. 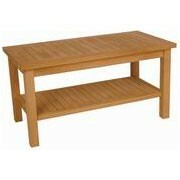 The table is made in simple design so that it can blend well with various surroundings. 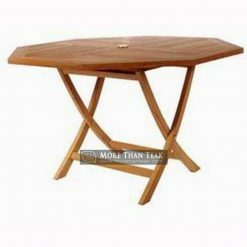 It has fold-able part on its center that can be expanded to suit the need of the users. 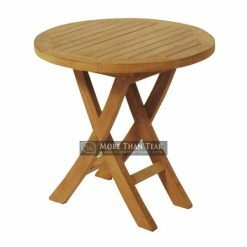 The texture of table which is smooth but strong can withstand with outdoor use. Convince yourself to only purchase good quality and trust-able products from our company.